Password Protect WordPress Pro provides an easy yet powerful way to password protect your WordPress private content. 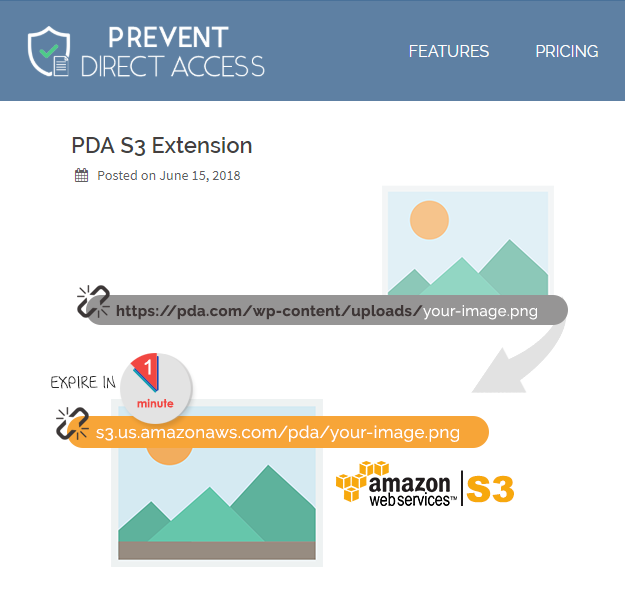 The plugin integrates nicely with WordPress default password protected feature in such a way that you can manage all passwords of your pages/posts in a simple and friendly popup. 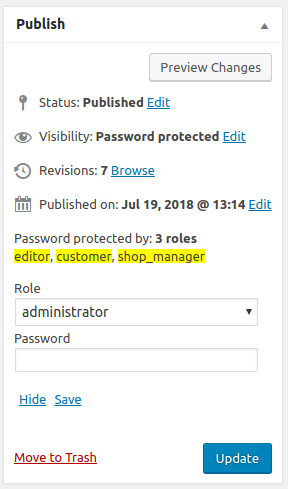 Set a different password for different user roles of your website. For example, you can set one password for your subscribers and another one for your members. 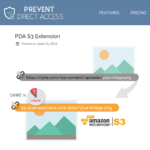 Grant access to password protected content for certain user roles such as admins and logged-in users. Those in the whitelist roles are not required to enter passwords to access these private content. Users won't have to enter the password again to access a protected page until its cookies expire. You can change the expiration time on our settings page. Protect your entire WordPress website and its content with a single password. You can quickly protect all posts under a particular category. A new password will be auto-generated for each individual post. 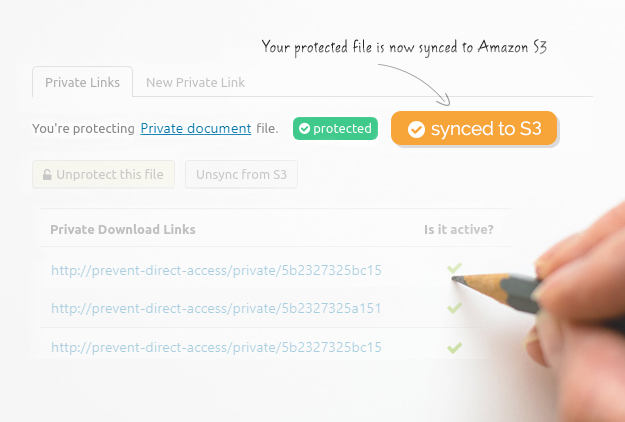 You have an option to automatically protect all child pages once their parent is protected. This allows you to set the same password to protect multiple pages at the same time. Convenient, isn't it? Instead of password protecting multiple pages and posts individually, you can just do it at one go. Setting the same password for multiple pages has never been easier! 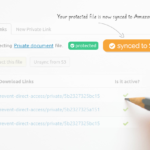 Users can access all protected files embedded in a protected page after entering the correct password. Automatically generate a new password for a pre-set protected page when a user subscribes to your ActiveCampaign email list. You can then send these unique passwords to each of your subscribers using ActiveCampaign newsletter or automated emails.